RUN WAVES PLUGINS LIVE ON YOUR STUDER CONSOLE. Now you can run Waves acclaimed compressors, EQs, limiters, delays, and more, on selected Studer mixing consoles. Longtime favorites in top recording, mixing, and mastering studios, Waves industry-standard audio plugins are now poised to revolutionize the world of live sound. 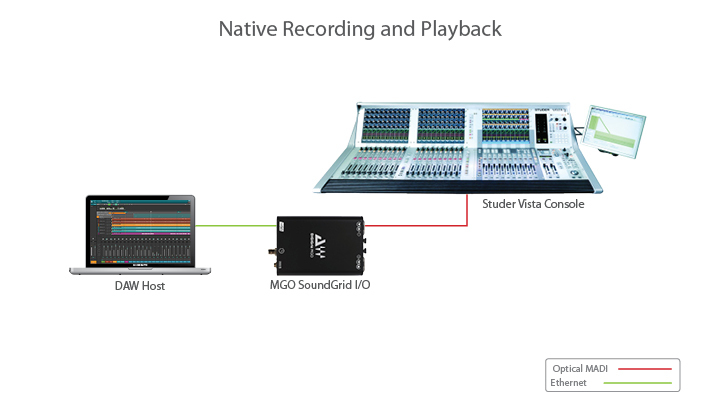 Two different types of configurations allow you to run plugins on Studer consoles: Native and SoundGrid. 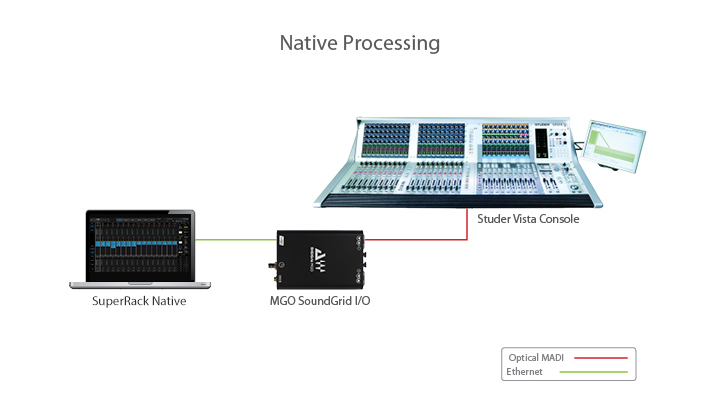 Native configuration utilizes the computer's CPU to power the plugin processing. In practice, this means the plugin count and overall system latency is dependent upon the computer’s CPU and sound driver capabilities. 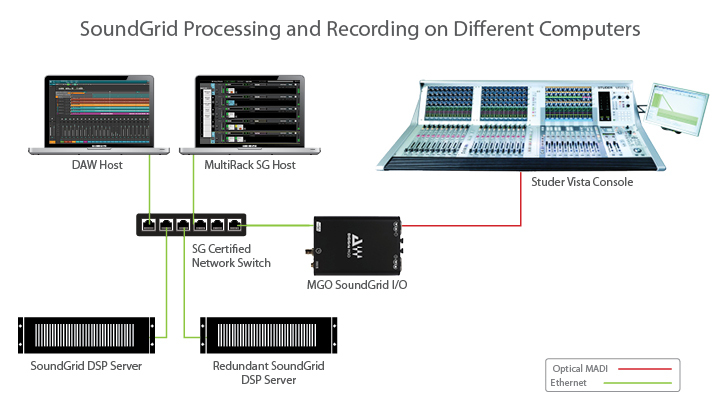 SoundGrid configuration uses a dedicated SoundGrid DSP Server to power the plugin processing, thus enabling low-latency, high plugin counts, a backup DSP Server and networking capabilities. 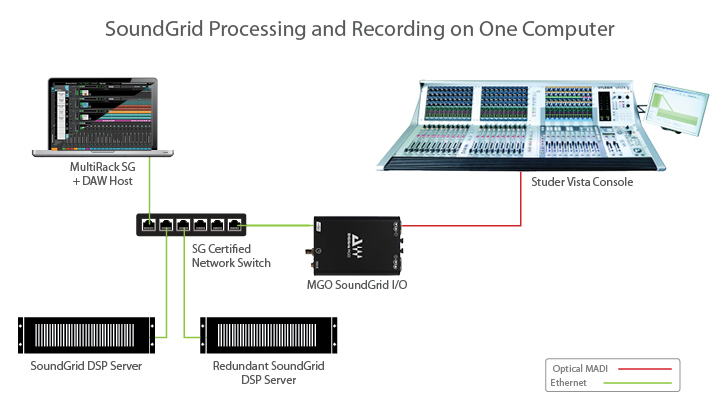 Download and install the latest software for your SoundGrid-Compatible audio interfaces.